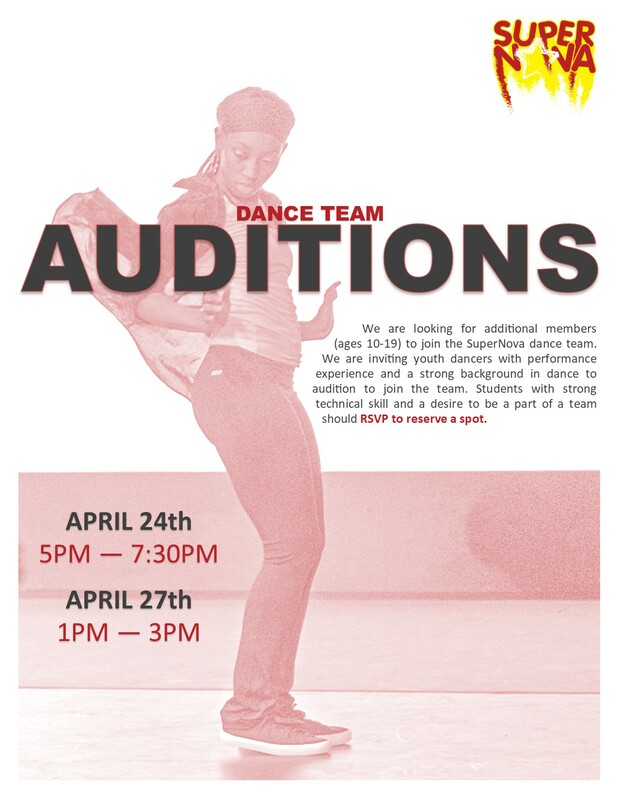 All new members must audition to participate with the SuperNova Dance Team. Please complete the form to audition. Prepare a 1-2 minute dance routine (any genre of dance). Please have music on a CD or MP3 player. Prepare a dance resume or be prepared to discuss your dance performance experiences, interests and goal. Please wear dance clothing that shows the lines of your body, such as leotards and tights or dance pants for ladies and a t-shirt and dance pants for guys. If you have long hair, it should be pulled back. Be prepared to learn 1 or 2 one minute dance routines (audition panel will choose the dance genre). Would you like for us to hold auditions at your school or organization? Please contact us to book a date.